National Tile, Coes Rd. Dundalk & Grantham House, Grantham St. Dublin 8. Whiteriver Park Kart Racing Circuit, Collon, Co. Louth. Heat Pumps Ireland, Coes Road, Dundalk. John Laverty Motor Factors, Coes Road, Dundalk. Safety First Consultancy Ltd, Yorke Street, Dundalk. 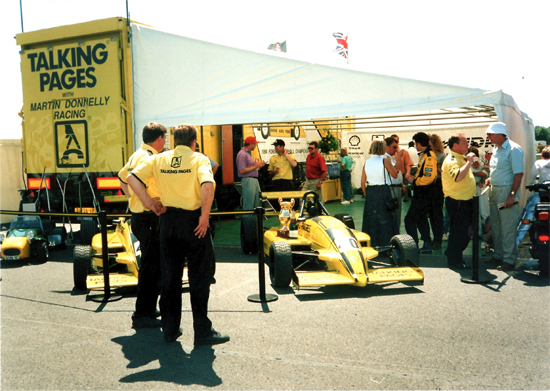 As well as sponsors names and logo's on the racing car, there is potential coverage for a sponsor on the driver's racesuit, team wear and the teams truck/transporter (example photo below). This gives a sponsor additional coverage at a race circuit, as well as coverage on roads and motorways where the teams truck will dispay sponsors names and logo's. Displays away from race circuits. We are always looking at ways of promoting our sponsors away from race circuits. 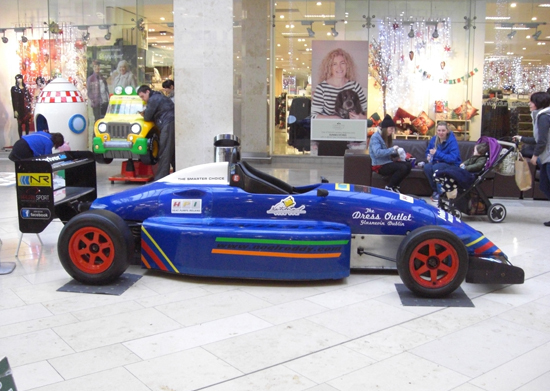 Such as shopping centre displays and sponsor displays/events. 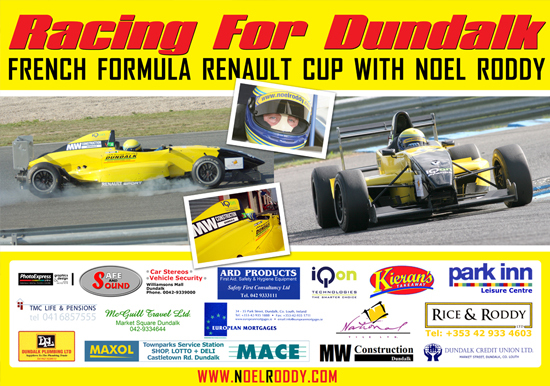 Providing coverage for all of Noel's sponsor's is paramount, and providing an end of season poster is a promotion Noel Roddy Racing has done in the past under the Racing for Dundalk banner. If you are interested in sponsoring Noel Roddy Racing please contact Noel by email: noelroddyracing@gmail.com.